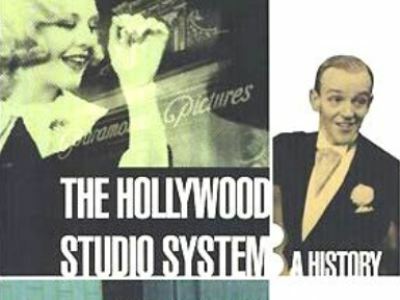 Douglas Gomery's book The Hollywood Studio System was first published over twenty years ago, and has been republished in an expanded version. The first edition dealt only with the golden age of the Hollywood studio system (the 1930s and 1940s), though Gomery has now supplemented this with sections on the system's origins (1915-1930) and its death and rebirth (1950 onwards). The Genius Of The System, by Thomas Schatz, also presents a studio-by-studio history of Hollywood. Gomery's book is drier than Schatz's, though; reading all the economic and corporate detail, you sometimes forget that the studios produced entertainment and art. Gomery takes the 'show' out of 'show business', though Schatz strikes a better balance. However, Schatz discusses only the major studios whereas Gomery finds room for them all. 111 TRT executives, including Thaksin, have been banned from active politics for the next five years, and no candidates can contest any future election under the TRT banner. Suspiciously, the Democrats have been acquitted of all charges. The judges' verdict reads: "The Thai Rak Thai Party acted to advance the personal fortune of its leader and tampered with the electoral process in order to grab and cling to power - this not a genuine party with any ideology". 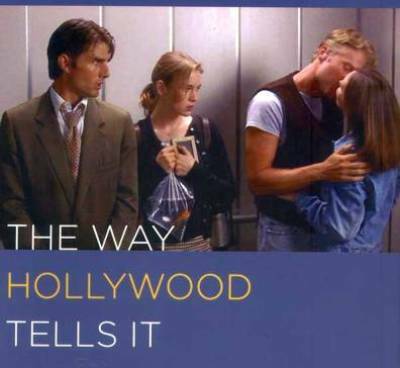 The Way Hollywood Tells It, by David Bordwell, analyses the continuation of the narrative and stylistic trends established by classical Hollywood. It rejects the notion of a post-classical cinema, arguing that the new distribution techniques of blockbuster films (Star Wars, etc.) do not affect the classical construction of the films themselves, that post-modern self-referentiality (in Toy Story, etc.) has precedents from the studio era, and that narrative experimentation (Memento, etc.) is accompanied by classical principles to avoid alienating the audience. Bordwell, one of the most respected American film writers (whose Film Art is perhaps the most popular film studies textbook), has written this as a sequel to The Classical Hollywood Cinema, his groundbreaking analysis of Hollywood modes of production from 1917-1960. Contemporary American Cinema, the only other book devoted to post-1960 American cinema, goes into more depth than Bordwell's, though its analysis is less impressive. 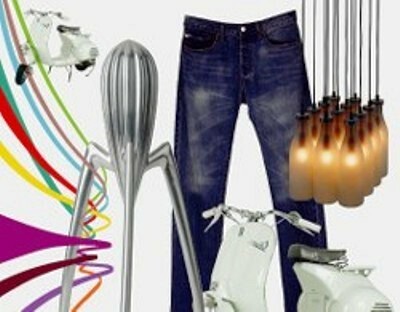 Thailand Creative & Design Center's permanent exhibition, What Is Design?, features a VW Beetle and other modern icons, a great opportunity to see 20th century industrial design in Bangkok. It's only a small exhibition, though it's the kind of permanent showcase for design classics that's missing from London's Design Museum. Two men were jailed today for leaking a classified memo detailing a conversation between UK Prime Minister Tony Blair and US President George W Bush that took place on 16th April 2004. Civil servant David Keogh, who copied the memo, was sentenced to six months in jail. Keogh had given the memo to Leo O'Connor, who received a three-month sentence for passing it on to MP Anthony Clarke. Keogh and O'Connor were arrested in 2004, when Clarke called the police after finding the memo in his office. 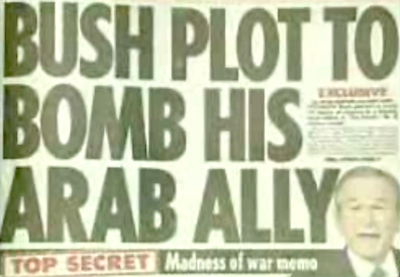 Details of the memo were first revealed by the Daily Mirror on 22nd November 2005, under the front-page headline "BUSH PLOT TO BOMB HIS ARAB ALLY". The report began: "Bush planned to bomb Arab TV station al-Jazeera in friendly Qatar, a "Top Secret" No 10 memo reveals. But he was talked out of it at a White House summit by Tony Blair, who said it would provoke a worldwide backlash." The newspaper quoted a source saying: "The memo is explosive and hugely damaging to Bush." After the story was published, the Attorney General threatened the UK media with prosecution under the Official Secrets Act if any further details of the memo were revealed. This marked the first and only time that the Act - rather than a conventional injunction - had been used to censor the media. Also, Keogh and O'Connor's trial was held in camera, and the judge ruled that it would be a contempt of court to report Keogh's three-word response when he was asked about his initial reaction to the memo. Due to the reporting ban, and the closed trial, there has been some confusion surrounding the charges against Keogh and O'Connor. Their arrest was not reported until they were formally charged on 17th November 2005, more than a year after the event. The case was originally linked to another leaked memo, titled Iraq: The Medium Term, published by The Sunday Times on 23rd May 2004, though subsequent media reports have linked the case only to the "BUSH PLOT" memo. 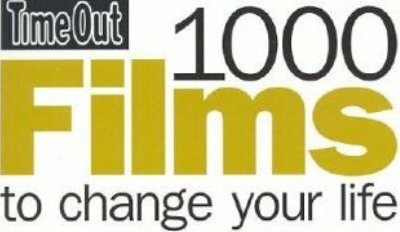 1,000 Films To Change Your Life, edited by Simon Cropper, is a book of film recommendations categorised not chronologically but (a la Tate Modern) by emotional impact. There are chapters on Joy, Anger, Food For Thought (i.e. contemplation), Desire, Fear, Sadness, Exhilaration, Regret, Contempt, and Wonder. As a guide to films you might enjoy depending on your mood, it won't really teach you anything new, but it does give useful viewing suggestions. The book also has many short essays, including Emilie Bickerton on films that "chastise the viewer for daring to enter the auditorium", Christopher Frayling on "how films can scare us", and Jonathan Rosenbaum on films that generate "open-mouthed awe". In the second of his essays, Geoff Andrews suggests that the best film directors have surnames starting with 'K', and I heartily agree. Speaking of which, there's also a brief analysis of Kubrick's oeuvre by Ben Walters. Note that Frankenstein is the 1931 James Whale version, not the silent Thomas Edison film. Also, Some Like It Hot is the 1959 comic masterpiece, not the obscure 1939 comedy. OK! magazine has partially won its appeal against rival Hello! magazine over publication of the wedding photographs of Michael Douglas and Catherine Zeta Jones. The long-running case dates from the couple's marriage seven years ago, when they signed an exclusive deal with OK! for pictures of the wedding ceremony. Hello! magazine published unauthorised photos of the wedding (on 28th November 2000), resulting in a breach-of-confidentiality lawsuit. OK! was awarded damages by the High Court in 2003, though the verdict was overturned by the Court of Appeal in 2005. OK! appealed that decision to the House of Lords, which ruled today that Hello! had breached OK! 's confidentiality by publishing the surreptitious photographs, though the Lords did not find that Hello! 's actions had been commercially damaging. Steve Taylor's 100 Years Of Magazine Covers is an international survey of a century of magazine covers, from the first issue of Punch to the latest issue of Modern Toss. The book is divided into five thematic chapters. The first chapter discusses the magazine cover as celebrity portraiture. An Andy Warhol self-portrait for his own magazine Interview is included, alongside Annie Leibovitz's iconic image of John Lennon and Yoko Ono for Rolling Stone. Chapter two covers reportage and politics, from the reverential (Picture Post's dignified image of Winston Churchill) to the satirical (a savage Richard Nixon caricature by Ralph Steadman for Rolling Stone, and Harold Wilson on the cover of Private Eye). The scope of this chapter is far too large, though, and although it covers (American) politics quite well, there is very little room for war reportage. The next chapter is devoted to fashion magazines, including Elle, Vogue, i-D, and Dazed & Confused. Fashion magazines from the 1960s dominate this chapter, alongside a survey of contemporary style titles such as Another Magazine. There are only a few Vogue covers represented, though the magazine deserves much more extensive coverage. The penultimate chapter concerns cultural movements (such as feminism, civil rights, and gay rights) and youth subcultures (including punks and hippies). This chapter's main focus is underground and fanzine titles like Oz and Sniffin' Glue. Finally, the last chapter looks at magazine covers as graphic design objects, including some wonderful 1980s typography from The Face and bold 1970s covers from Time Out. Four pages devoted to eleven cover reproductions of Fast Company in this chapter seems highly excessive. 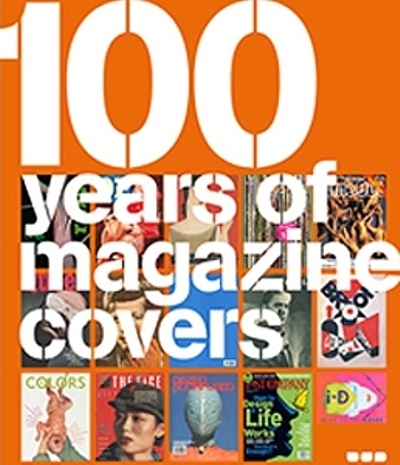 The only previous book to present a history of magazine covers is David Crowley's Magazine Covers. Crowley's book has 100 fewer pages than Taylor's, though it does have an index whereas Taylor's doesn't. Crowley presents double-page spreads on each magazine, organised into the same chapter themes as Taylor. Taylor has more of a pedigree (he has worked for The Face and Arena; his book is introduced by The Face's art director, Neville Brody), though Crowley's book has more historical scope. Both books are dominated by superb illustrations, with minimal text, though Crowley's writing is more detailed.